Many people assume that Chinese plastic injection molds are going to be poor quality. However, a huge number of companies- including multinational corporations- still choose to buy such plastic molds. Does that mean these companies are naive or making a mistake? Of course not. In fact, Topworks plastic mold company ,as one of China plastic mold manufacturers, is capable of making some of the best molds on the market- for a much lower price(35% COST LOWER,15 BUILDING DAYS LESS) than European and American companies can possibly offer. Across China, the plastic injection mold manufacturing industry is growing from strength to strength. Not only do we have the skills required to make superior injection molds, but we also possess excellent English skills for technology and business. That extends into the Topworks marketing departments, too- most of our sale stuff have a strong grasp of CAD drawing, and the technology capability to choose the right mold building project for you. This allows them to speed up the communication process between Topworks and the customer. When making a brand-new plastic injection mold globally,not only in China, the process usually starts with a 3D drawing of the product. Using that drawing, engineers can then decide how to make the mold, thinking about things like the size and structure of the mold, the material, and how to keep the cost as low as possible- all while keeping the customer’s requirements in mind. Our factory has worked with multiple European and American companies for many years now, so all you need to do is send us your drawings- we’ll be happy to carry out a test to show you what we have to offer. Mold manufacturing has been around in China for over 30 years, meaning there are plenty of high-quality manufacturers operating today. Many possess the same skills and experience as their western counterparts. While they may only be paid around 65% of what they could make doing the same job in the US, they will still produce top quality molds that you can really rely on. How should I go about choosing a Chinese injection mold supplier? The main reason why so many US and European clients come to China for plastic injection molds is because they are much cheaper(35% lower or more) to make here. However, price shouldn’t be the only thing you look at- you should also consider the following, to be sure that your chosen company is going to do a thorough job when making your mold. Capability- will they be able to handle the whole project in-house, or outsource parts of it? Are they able to properly serve international clients? Molds for injection molding are as varied in profile, the degree of complexity and size as are the components produced from them. In their simplest form, for use on the smallest injection machines，they may consist of two matching pieces of metal（core and cavity plates)in which the impression of the article to be molded is cut directly. In more complex forms，there will be means for ejecting the moldings with undercuts and cooling channels for controlling the temperature. There may be sliding block for undercut features on the part，unscrewing devices for moldings having a screw thread，and part of the mold may be kept hot to provide an extension to the nozzle so that sprue and runner systems remain fluid. Electrical heating may be installed and air is sometimes applied for ejecting the moldings. The first stage，then，in the production of an injection mold is the careful design of all the parts of the mold, consideration of whether the component design has been optimised to suit injection molding，and bringing the concepts together in the making of the mold. This will then be proved and，if necessary，modified before handing over to the mold production department. The traditional material for the construction of molds is steel. Cavities and cores inserts are cut into blocks of good quality tool steel which can be hardened if necessary. Sprue bushes and guide pins and their bushes are made from very hard tool steel, as are ejector pins and other ejection devices. The mold housing，or bolster, is made of softer，mild steel. In fact，all the parts of the mold which do not have to withstand any frictional wear are best made from this grade of steel to save the mold building cost. Also, care must be taken in choosing the steel so that the grade matches the degree of finish required. Because of the traditional use of steel，molders have been slow to accept other materials, on the assumption that the abrasive action of the plastic passing into the mold would quickly wear away the surface polish. This is what happens with thermosetting materials and compression, and transfer molds are nearly always hardened and chromium plated. 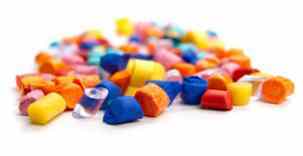 However，most thermoplastics have little abrasive action and for many components，even when runs of one million or more have been made, softer metals have been used after hardening especially for household ware molding. Among these are aluminium，brass，zinc，aluminium/zinc alloys (Kirksite) and low melting point alloys. For prototype work, the last two of these materials are particularly useful because forms and cavities can easily be cast from them using plaster molds. When long runs are contemplated, the best possible mold should always be considered- Such molds will be expensive, but the cost per unit item when between ten and one hundred million items are to be made will be very small. 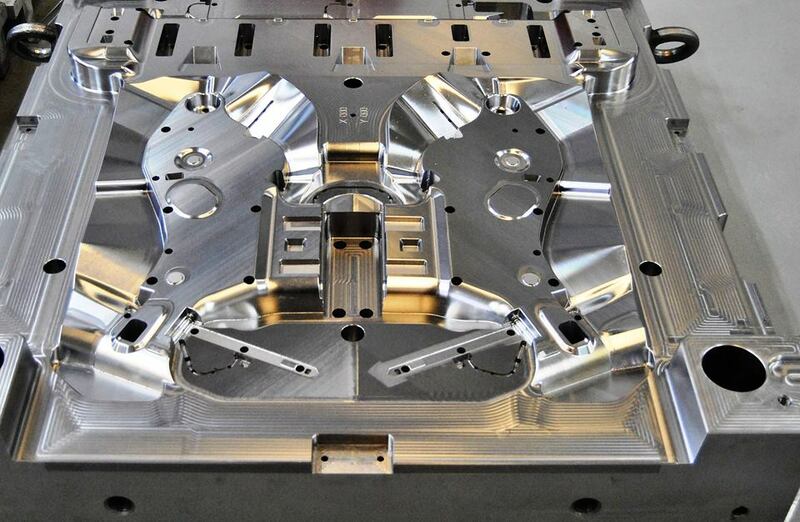 A well-made mold will require little, if any，repairs over a long period but the cost will be high on account of the processes it has to undergo during manufacture. These are: annealing cycles to prevent distortion during use; hardening processes; polishing (up to 10 per cent of the total cost of a mold)， and attention to fine detail, which are all expensive. Even before starting to make the mold a great deal of thought and the application of knowledge needs to be put into its design. It should always be remembered that is is easier and cheaper to alter a drawing than to alter a piece of machined steel. Second thoughts, so far as mold making is concerned, are not permissible when once the design has been approved and work started. Even if the design is changed， drawings should always be filed and catalogued so that they can be referred to at a later stage. This action may prove to be of value in the event of a dispute over a modification being followed by legal action. Verbal agreement on a matter so expensive as an injection mold could prove very costly if one party later disputed the agreement. 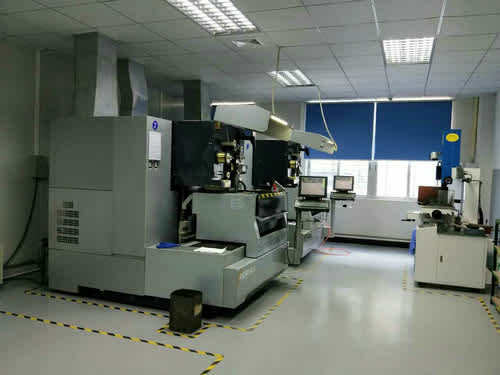 Nowadays, more and more custom molders in China are required by the customer who asks for a prototype mold to be made to produce a small number of items for market evaluation and who comes back later with the request for many thousands of the moldings made in the same mold design with harden steel. It must be understood that a prototype mold is exactly what its title implies. On some occasions, a production run might be possible from such a mold, but this should never be taken as a matter of course. Much can be learned from a prototype mold which probably makes the manufacture of a production mold easier and， therefore, cheaper, but this should be taken as the limit of its usefulness.